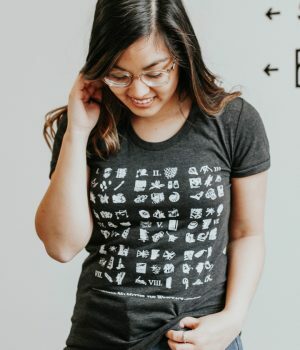 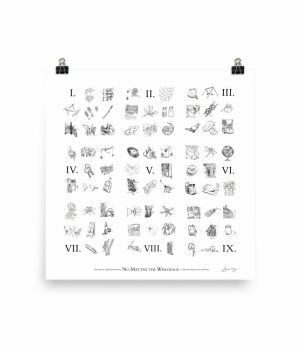 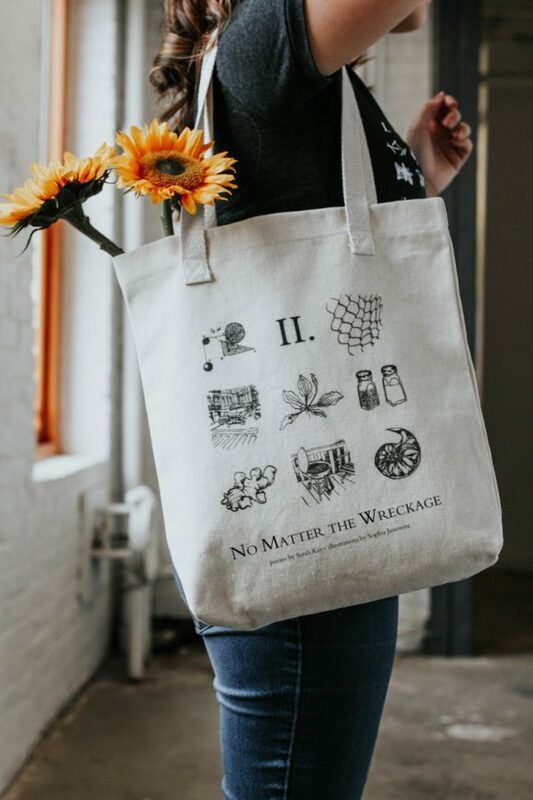 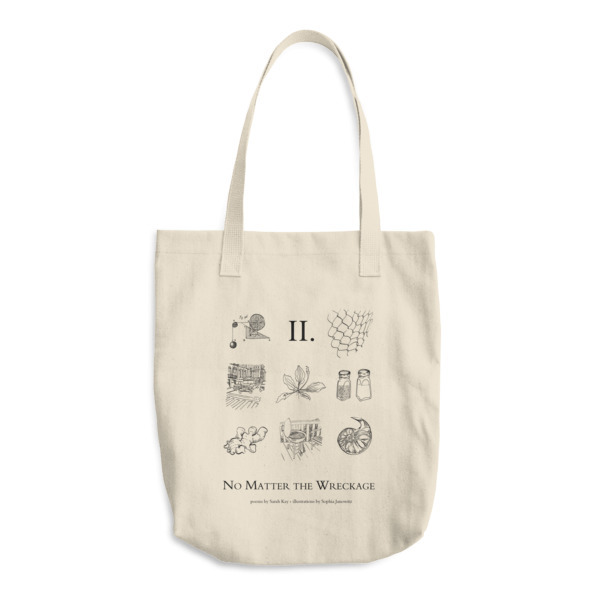 Before each chapter of Sarah’s collection No Matter the Wreckage, there is a page of illustrations drawn by Sophia that hint at poems in the chapter it precedes, and this durable cotton tote bag features the Index Illustrations for Chapter II. 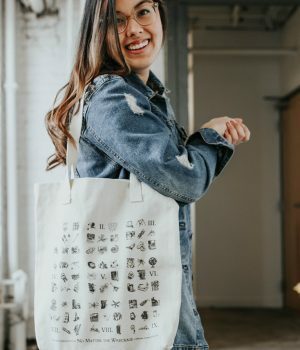 Sarah has not-so-secretly always dreamed of being a Poetry Detective, and if you can figure out which illustration is a clue toward which poem, you too might be on your way. 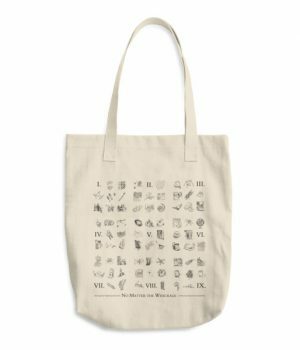 We love the sturdiness of this tote, and think it’s perfect for carrying around books of poetry!